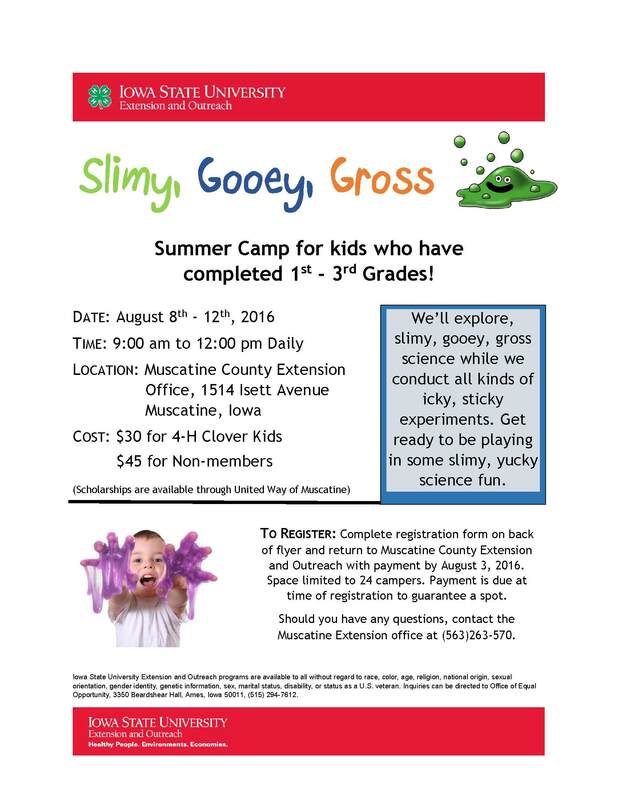 The Muscatine County Extension office is offering two STEM camps this summer for those students who have finished first to third grades. 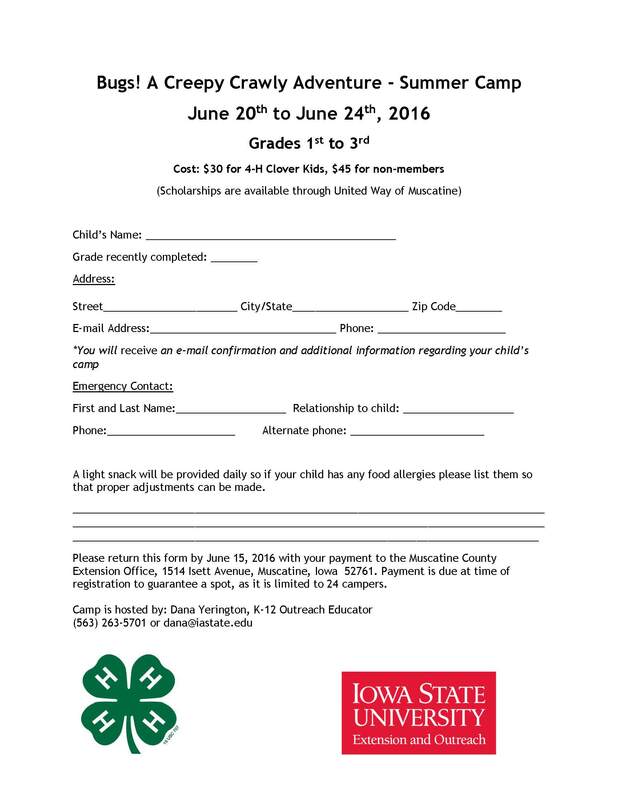 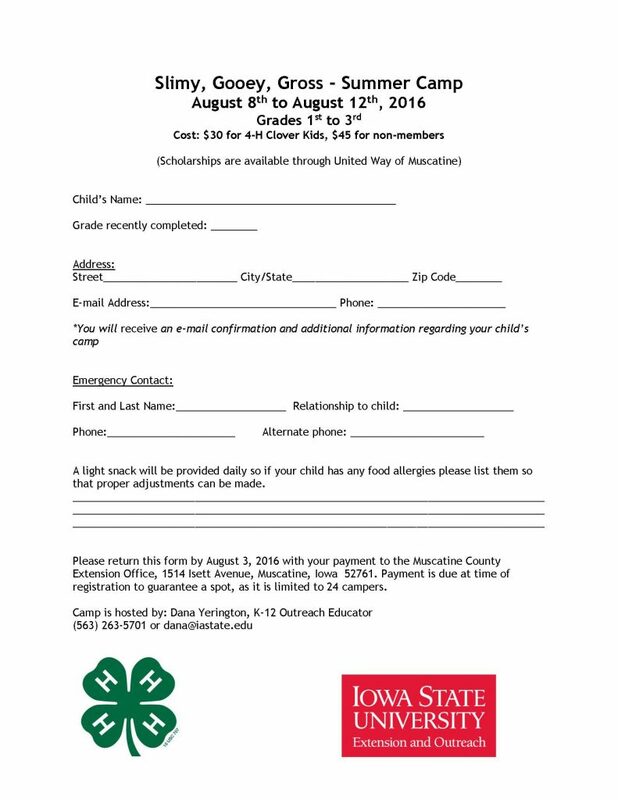 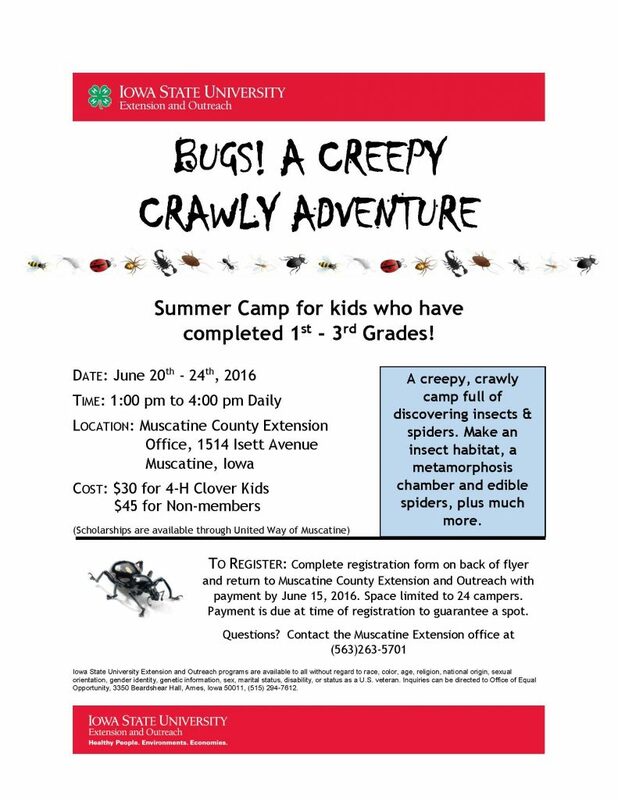 The camp in June is: Bugs! A Creepy Crawly Adventure and the camp to be held in August is: Slimy, Gooey, Gross.